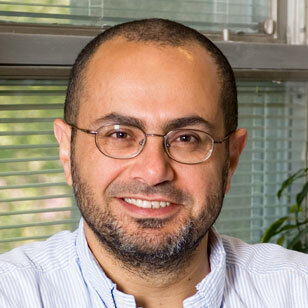 Amr Sabry is a Professor of Computer Science at Indiana University. His research interests are in the semantics, logical foundations, and implementations of programming languages. He has published on a range of themes including the typing, logical foundations, and programming applications of continuations and continuation-passing style, reasoning about monadic effects and staged computation, and programming language models of quantum computing. Together with Matthias Felleisen, Sabry wrote a series of papers on the use of continuations in the compilation of functional languages which includes one of the fifty most influential papers in the last twenty years of the ACM SIGPLAN Conference Programming Language Design and Implementation (PLDI). Together with Eugenio Moggi, Sabry gave what is considered the long-awaited definitive answer that monadic encapsulation of effects using rank-2 polymorphism is correct.